The Cambridge Graphene Tech Days 2015 is a leading festival of events over two days for networking and learning more about the latest advances in commercialising Graphene and related materials in sectors such as electronics, displays, energy storage, composites, packaging, aerospace & defence and automotive. Airbus & BP will give new presentations on the challenges for Graphene Solutions Providers in their set of industries and will be joined also by other global conglomerates. The special programme of events will be held mainly in Cambridge’s newly-opening Graphene Building: with an exhibition of technology and tours of new labs as well as a media event, conference and a fine Hall dinner. The expert-led MasterClass covering the value network srtructure and barriers & application prioritisation offer enormous added value to corporate executive leaders. It is an honour to have the chance to bring together such excellent industrial and entrepreneurial growth companies in the graphene and GRM sector with Cambridge University and its new Graphene Centre Building Hub. Cambridge is perhaps the top global university across all key measures such as teaching and research. It is also home to a burgeoning technology cluster. Great companies have been born & grown to billions in the 25 years that I’ve lived here, but now multinationals also regularly come to have a base in Cambridge to find excellent research, engineering & coding staff, partnerships with top academics and other outsourcing and learning with many other players offering services in the tech cluster. I look forward to an inspiring couple of days of events. Ray Gibbs, CEO of Haydale commented ”The Cambridge hub is one of the pre-eminent places to go for the highest quality science and application skills. 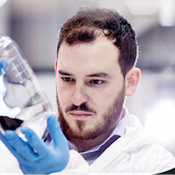 As a leading technological solution provider to this rapidly evolving market sector it made great sense to support this centre of excellence covering graphene and related nano materials, . 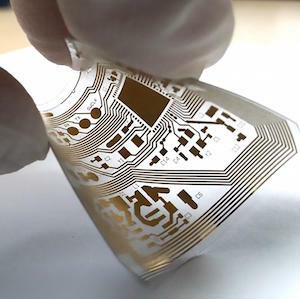 We believe the conferences and workshops at the Cambridge Graphene Days will showcase the adoption and use of the graphene materials in real products. Haydale’s functionalised graphene technology already is providing ground breaking benefits to organisations involved with composite materials, conductive inks and next generation battery technology”. Haydale Ltd., a leader in the development of enhanced graphene and nanoparticulate materials, has announced its decision to sponsor the Cambridge Graphene Days (5-6 November 2015). The Cambridge Graphene Days is a prime event for networking and learning more about the latest advances in commercialising Graphene and related materials in sectors such as electronics, displays, energy storage, composite, packaging, aerospace & defence and automotive. The festival of events includes a program of events to be held mainly in Cambridge’s new Graphene Building, with an exhibition of technology and tours of labs as well as a media event, conference and dinner at King’s College. For further information on leading edge functionalised graphene application solutions please visit www.haydale.com or contact Haydale Ltd. on +44-1269-842946 / info@haydale.com. Haydale , based in South Wales, UK and housed in a purpose-built facility for processing and handling nanomaterials, is facilitating the application of graphenes and other nanomaterials in fields such as inks, sensors, energy storage, photovoltaics, composites, paints and coatings. Haydale has developed a patent-pending proprietary scalable plasma process to functionalise graphene and other nanomaterials. Poyry will note at Cleanpower 2012 Cambridge (14 June) that the government expects electricity generated from biomass to play an important role in meeting the UK’s 2020 renewables target. This talk describes the policy and regulatory background affecting biomass electricity developments, including the Renewables Obligation, Electricity Market Reform, and the April 2012 Bioenergy Strategy. Ali Lloyd, Principal Consultant at global renewable energy leader Poyry, will present ‘The outlook for biomass electricity in the UK’. Ali Lloyd joined Pöyry Management Consulting in February 2010 and has around 20 years of commercial experience in UK energy markets. He has a detailed knowledge of the UK electricity market including support schemes for renewable and CHP generators. Ali is part of Pöyry’s renewables team, providing advice primarily to renewable and energy-from-waste developers on project valuation and off-take contracting strategy. This 4th Annual Smart Grids & Cleanpower Conference, uniquely covering the core and range of technologies and strategic vision for grids and power, is brought to you by CIR Strategy in association with ARM plc and Schneider Electric, and is part of the Cleantech Conferences of Cambridge Series. Alan South, Commercial Director of the Award Winning UK company Solar Century plc, a veteran of the Cleantech Conference Series organised by CIR Strategy, will deliver a talk summarising the changes that have occurred recently in the UK solar market. PV generation capacity installed in the UK has grown beyond all expectations in the last two years. A consequence of the extraordinary growth has been fast and deep cuts to the support scheme. Just where does the UK stand in comparison with other countries and what will the future look like for the technology? Alan’s talk at this year’s Smart Grids and Cleanpower Conference on 14 June at Murray Edwards College, Cambridge, will describe how massive, unsubsidised growth in solar installations has occurred in Spain and now in Holland as this phenomenon moves northwards to the UK. He will discuss what happens when you reach and surpass grid parity, solar markets. Alan will attempt to describe the dynamics and timings of this process in a way that will be of interest to cleantech investors and innovators as well as other market experts and academics. Alan South is responsible for driving growth at Solarcentury through proprietary products and services. His role is to manage innovation as a portfolio, and to maintain a five-year vision and strategic roadmap. He has over 25 years experience in innovation including leadership roles at IDEO and at Cambridge Consultants. Bookings for the Conference are available at: http://www.cir-strategy.com/events/register or by calling 01223 303500 the conference hotline. CIR Strategy is an independent technology consultancy based in Cambridge, England. We offer strategic work, market research learning validation, service design, customer experience work, focus strategy, financial consulting, technology and engineering help in various tech sectors such as energy, environment, printing, electronics, nanotechnology, instruments & engineering, software.